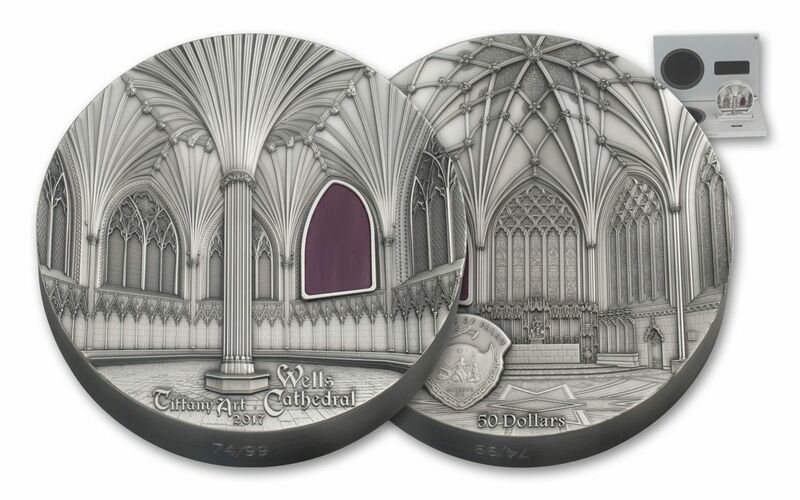 Honoring One of England’s Finest Architectural Wonders -- in 99.9% Pure Silver! Fine Detail of Two Cathedral Parts – Employing both faces to show the Lady Chapel and Chapter House. 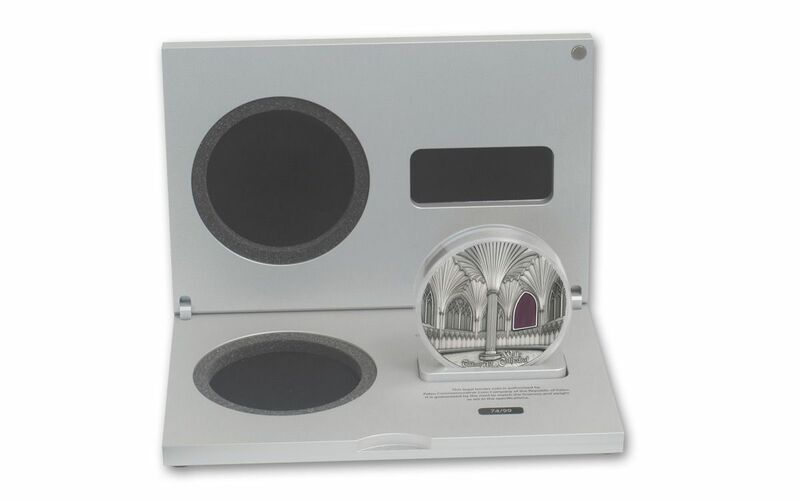 One Kilogram of 99.9% Pure Silver – A larger piece so you can fully examine every detail! Continuing a Successful Series – The most highly anticipated coin yet. Fifty Dollars Legal Tender for the Pacific Archipelago of Palau – Struck at one of Europe’s most highly respected coin producers, the Mayer Mint. 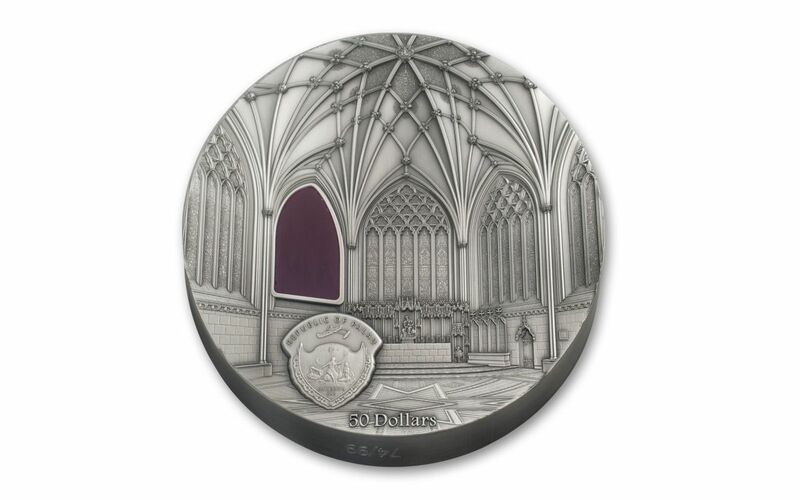 Antique Finish - Perfect for a coin celebrating an ancient structure. Extremely Low Mintage – This coin is part of a mintage of just 99 pieces! While the difference in age of the New World and the Old World are widely recognized, perhaps one of the most striking examples of the difference is found in some of Europe’s ancient buildings. Wells Cathedral was built nearly two centuries before Christopher Columbus’s discovery of the Americas. 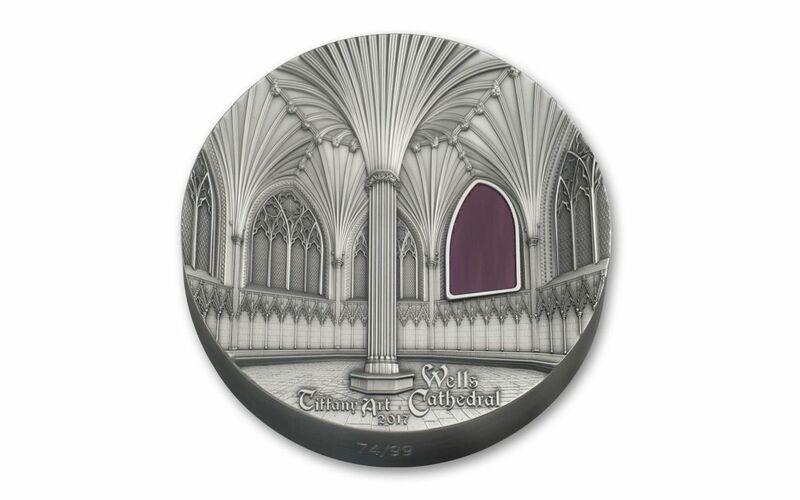 That adds an historic appeal to this coin, which also is a fantastic choice for collectors who are interested in religious and/or English history. With a mintage of just 99 pieces, your chance to get this coin could soon be history as well! Order this coin from GovMint.com before it is too late!